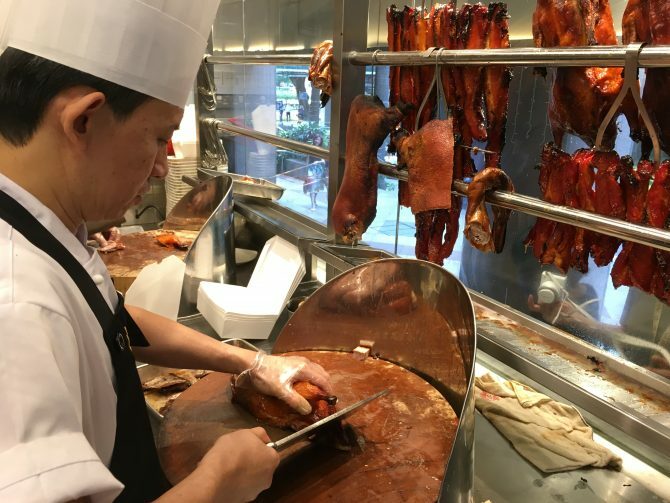 When news arrived that Hong Kong’s Michelin-starred Kam’s Roast will be opening in Singapore, one question weighed on many minds: Is there going to be goose? The famed restaurant is known for its succulent roast goose dish, which is paired with its light signature sauce. You may not be able to find that here, but what you will get is a true-blue Hong Kong roast experience: A bright cha chan teng setting, an open-window kitchen and addictive, tender and consistently high-quality meats. 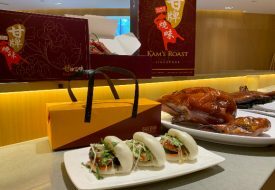 Located next to fellow Michelin-starred restaurant Tsuta in Pacific Plaza, Kam’s Roast brings the same sauces and marinades from the Hong Kong branch to Singapore. 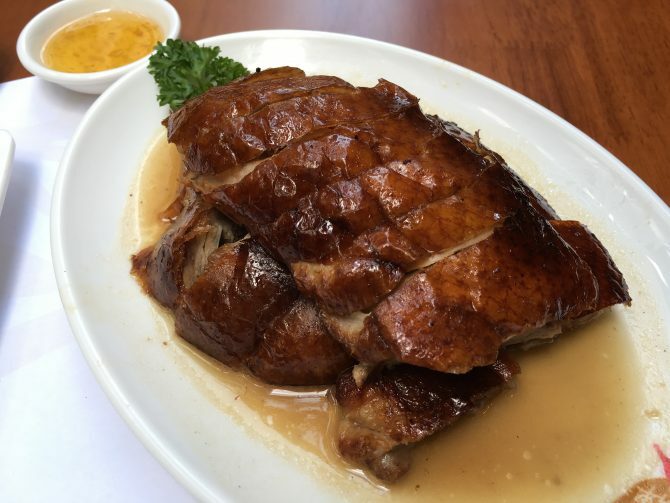 Its signature peanut and oil-based sauce is served with the Roast Duck and Soya Chicken ($11.80 for mixed selection), and the tender meats soak it up marvellously. The Roast Duck is sold at $55 for a whole; the chicken at $14.80 whole. One tip that we received from the founder, Hardy Kam, is to request for a scoop of the sauce to accompany your rice. The result? A remarkable cross between Hainanese chicken rice and waxed-meat claypot rice. If pork was marbled, then the Toro Char Siu ($22.80) would be the wagyu of the pork world. Made from premium pork belly, the char siu is seasoned with the Kam family’s award-winning marinade, and prepared with the secret recipe by second-generation owner of the famed Yung Kee, Kinsen Kam. 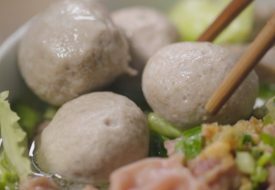 When eaten piping hot, the dish boasts an irresistibly creamy and caramelised texture and melts in the mouth. Despite its fattiness, the meat is encrusted with lightly charred corners, ending each bite with a slightly smoky aftertaste. If pork belly is your jam, the Roast Suckling Pig ($34.80 for a portion) would be another winner. 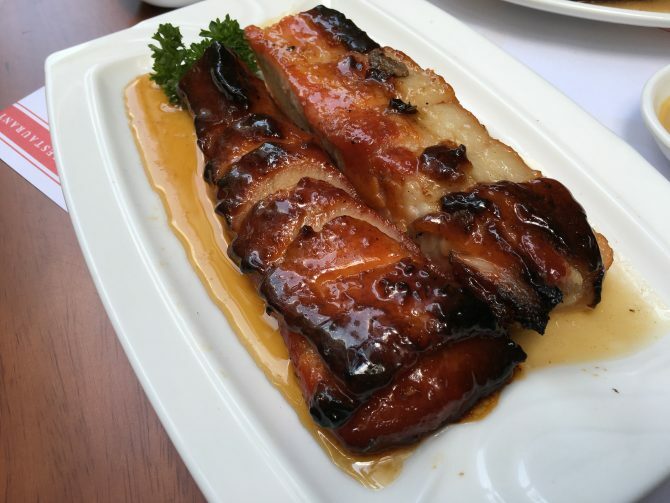 Complementing the chewy texture of the char siu, the roasted belly presents a springy and layered bite topped with a salty crunch. 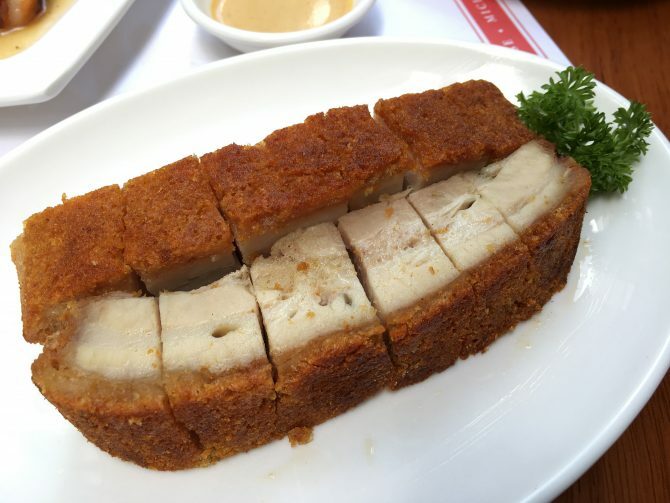 For maximum enjoyment, try the Crispy Roast Pork ($14.80) as well – these thinly sliced bites pack a burst of flavour that will have you hogging the plate. A nice cap-off to the flavourful meal is the Red Bean Soup with Aged Orange Peel ($5.80), a light dessert to wash down the savoury feast from before. A traditional Hong Kong dessert, the soup is sprinkled with orange peel that has been aged for 12 years, adding a zesty yet refreshing finish to the meal. Kam’s Roast officially opens on 19 Nov from 1pm. From 20 Nov, the restaurant will be open from 11am-10pm on weekdays and 10am-10pm on weekends and public holidays. Kam’s Roast, #01-04/05/06/07, 9 Scotts Road, Pacific Plaza, Singapore 228210.